Ionic 3 and Angular 4: Working with Signature Pad. This tutorial explains how to upgrade to Ionic 3 and Angular 4 and how to use signature pad for your application. If you are working with some agreement related project or something which needs some written proof from the customers, we might in need of a signature pad. The combination of Ionic 3 and Angular 4 provides some better features to achieve signature pad. 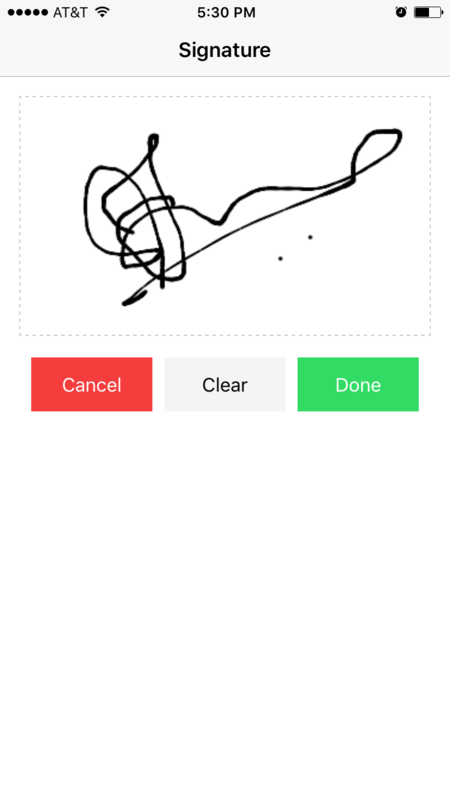 This will allow you to sign/draw something on the application and save that image as data on the screen. Using this tutorial, you can also make a signature pad with Ionic 2 and Angular 3. Why late? Let’s start this small, but most commonly used task in your application. Recently, Google introduced the latest version of AngularJS which is nothing but Angular 4.0.0. This is a major release and supports backwards compatibility with Angular 2 for most applications. It includes some major improvements and functionality. Angular 4 applications are more faster and smaller. This also have some new features like improved *ngFor and *ngIf which can be used in if/else style syntax. Ionic 3 which is also a new release and comes with Angular 4 support and many other features. Ionic 3 is compatible with Angular 4 and has lot of great features like lazy loading of modules, IonicPage decorator, etc. Video Tutorial - Ionic 3 and Angular 4: Working with Signature Pad. This package will help you to capture signature. You have to create a page for signature model. 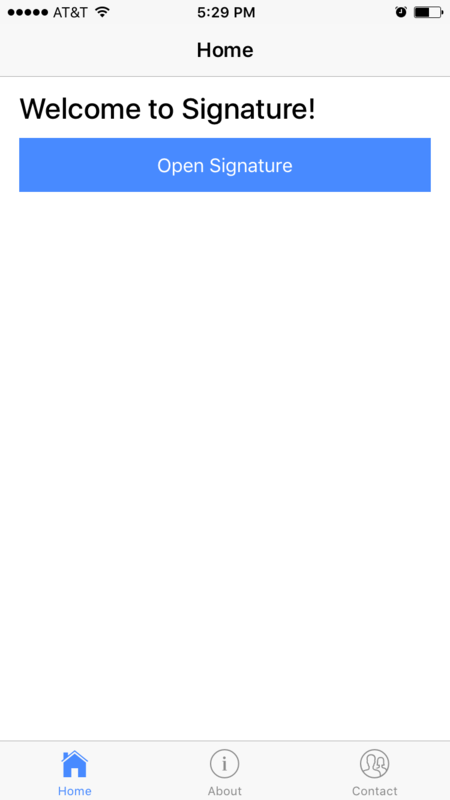 The following ionic command help you to created automatically. Now got src/app/app.module.ts and import SignaturePage and Signature Pad component. Implement open signature button and bind signatureImage value with image source. 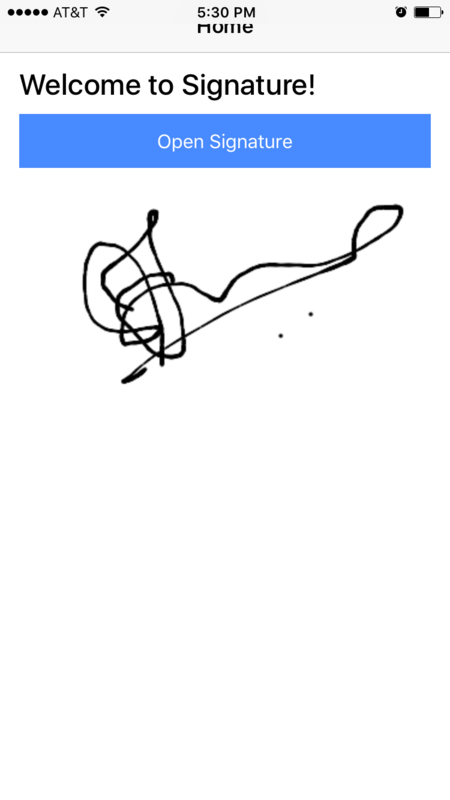 Modify signature.html witth signature-pad component tag, this will provide you the signaturePad in canvas block. Include these function in for resizing signature pad canvas. How to use resize on orientation change ? your back button have bug. can i pop page while passing data. how to add image taking with camera on signature pad ?? then the error is Cannot set property "width" of undefined, telling me that it cannot find this.signaturePad._canvas which is set in the "set" function. Do you know what might cause it?